It certainly is lovely. We’re supposedly getting more snow this weekend. 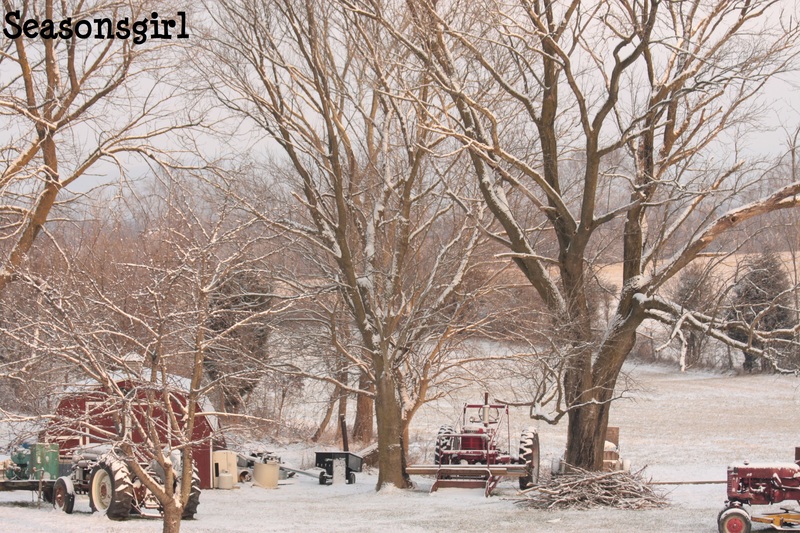 And, it’s been below zero here, and the chickens water freezes every couple of hours. These are beautiful pictures. Love the scenery!!! Yes it is beautiful! Just a few inches covers most everything just enough to change the ordinary into the extraordinary. We got about 4 inches in Ohio just this morning and it’s gorgeous. Loved seeing your snow photos! Brings back memories of living in Northwest NJ. but, my sister in New York says she’s freezing up there, so since I haven’t seen any snow here in FL…I’m staying here in 70 degree weather…and enjoying your photos! Thanks!! 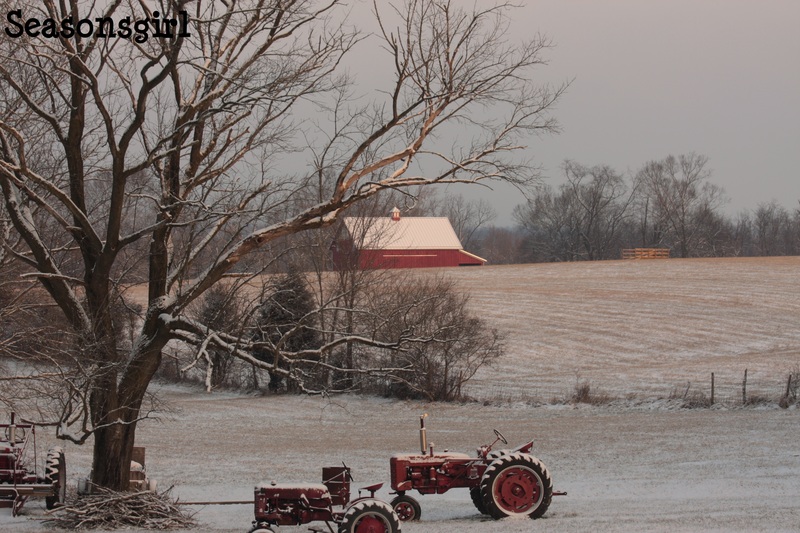 The red of the tractors and barns look so lovely against the snow. How beautiful it is where you live! Thanks for liking our blog! Your farm is beautiful! We LOVE Virginia… definitely some beautiful countryside. And my favorite farmer, Joel Salatin, is in your state. I definitely suggest a day trip to his farm, Polyface Farm! Beautiful pictures! Your farm looks lovely!